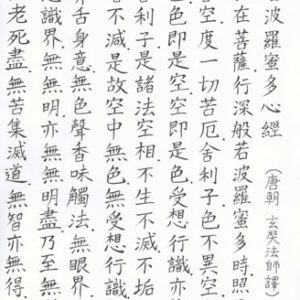 The Heart Sutra is chanted daily in monasteries and practice centers throughout the world. It is a precious gift to the Buddhists, the gift of fearlessness. Please visit the page of HEART SUTRA of this website for more information. You can obtain a copy of it free with your purchase of other products.